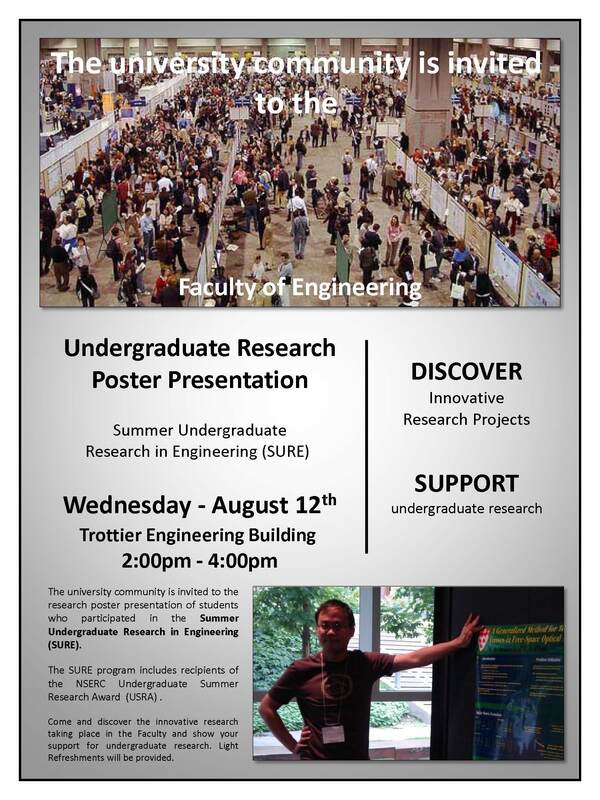 On August 12, the University community is invited to the research poster presentation of students who participated in the Faculty of Engineering’s Summer Undergraduate Research in Engineering (SURE) program, which includes recipients of the NSERC Undergraduate Summer Research Award (USRA). Come and discover some of the innovative research taking place in the Faculty and show your support for undergraduate research. Posters will be judged by a panel of 20 graduate students and the Associate Dean of Research and Graduate Education.